This historic Palmerston North wedding hotel is the ideal venue for your wedding day in the Manawatu region. Located in the heart of Palmerston North, a short stroll from lively cafes and galleries and handy to riverside parks, Distinction Palmerston North Hotel & Conference Centre is an elegant 1927 heritage building with original features and modern facilities. Specialising in wedding packages ranging from elegant and intimate receptions with close family and friends, through to large formal weddings with all the trimmings. Our Palmerston North hotel's wedding venues can host from 40 to 260 guests for a formal sit down dinner or 50 to 500 for a cocktail event. The hotel’s courtyard is perfect for wedding ceremonies and pre-dinner drinks and canapés. We offer a range of packages to make your wedding day unforgettable - from cocktail to sit down dinner packages. All wedding reception packages include complimentary accommodation, full buffet breakfast and a late check out until 12pm for the bride and groom. We are also happy to negotiate a special rate for your bridal party and any wedding guests who require accommodation to attend your special day. Your wedding guests can be stylishly accommodated at discounted rates in the hotel’s 85 hotel rooms. Contact us today and let us make your wedding day stress-free and memorable. 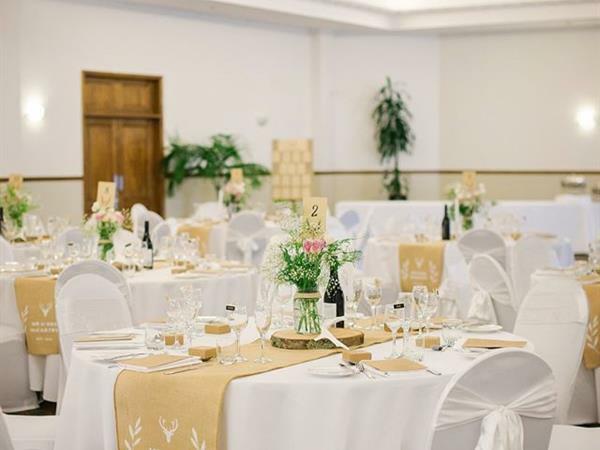 This historic Palmerston North wedding hotel is the ideal venue for your wedding day in the Manawatu region. 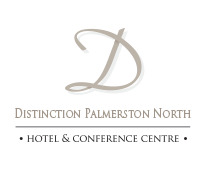 Contact us now about hosting your special day at Distinction Palmerston North.